What’s Going Right with Your Art Business? 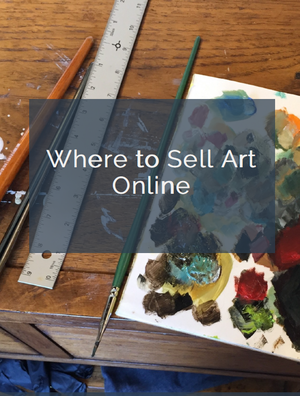 It’s easy to zero in on the problems you are facing with your art business. Let’s take a look at what’s going right. Whenever I do an artist website review, or start working with a new consulting client, I gather information from them and take a look at their background, their story and their online presence. Immediately things leap out at me, because I’m sensitized to looking for certain elements of how the artist is presenting and communicating with their audience. And I find that I naturally look for what they are doing well. Does every creative business have problems? Of course. There is always room for improvement, and our businesses are works in progress. Having outside input is an important part of gauging the impression we are giving and changes we can make. Focusing on the negative is the stuff of headlines (here is one that went viral on this very blog) and it does get eyes on an article. Everyone wants to know if they are making one of the “5 Mistakes that are Killing Your Sales” and readers devour lists of this type because they are operating out of fear. Do you have a logo, brand or tagline you are really proud of? Has your work surprisingly appealed to a certain type of customer, and are you taking advantage of a new market? Is your schedule filling up with exhibitions, events or opportunities to sell? Has your impact on social media resulted in a growing base of fans? Have you gotten press exposure, won an award, or received other praise? Have you learned a new strategy that seems to be working for you? What recent accomplishments have you made? Taking an honest look at where you stand should be like giving an art critique. A well-done critique will acknowledge positive aspects first. What is going right? What is well done? Get clear on where your strengths lie, and where your foundation is solid. Then, move on to the challenges you are facing, and single out goals you want to pursue to overcome them. Putting the emphasis on the positive and acknowledging what is going right is not only motivational, but puts things in a perspective where you can balance what you have done and what needs to be done next.